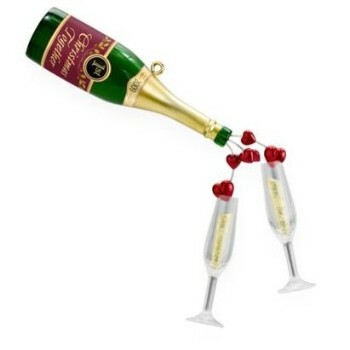 A champagne bottle pouring bubbly hearts into a pair of champagne glasses is a toast to your newlyweds. I really like this ornament. The hearts are a great detail. I just wish it said "Our Christmas Together" instead of first Christmas. Absolutely amazing ornament. 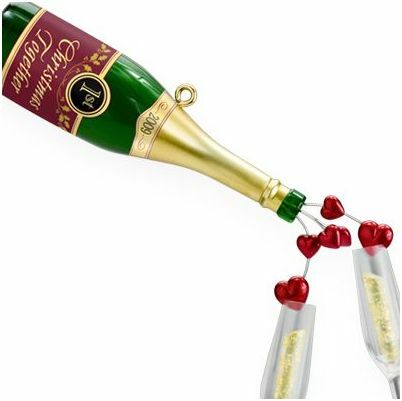 The little hearts pouring from the champagne bottle into the glasses - wow!